This charming, modernised cottage is situated about 80m from the safe, sandy beach overlooking St Michael's Mount. Facilities for swimming, sailing and wind surfing are excellent. The village has a wide variety of shops, galleries and restaurants and is an ideal base for exploring the beautiful coastline and countryside of the Lands End peninsula. Tresco is an attractive cottage fronting onto a small road. It has a rear courtyard garden which is sheltered and sunny - ideal for barbecues. The lounge is large and spacious with a low beamed ceiling, exposed granite walls and inglenook fireplace with wood burning stove. Marazion is the perfect village for a family holiday, with childrens' play area and sailing close by. The village overlooks the magnificent Mount's Bay with the famed St. Michael's Mount directly opposite. The interesting towns of St Ives and Penzance are very close and well worth a visit. Off road parking available for 1 car. 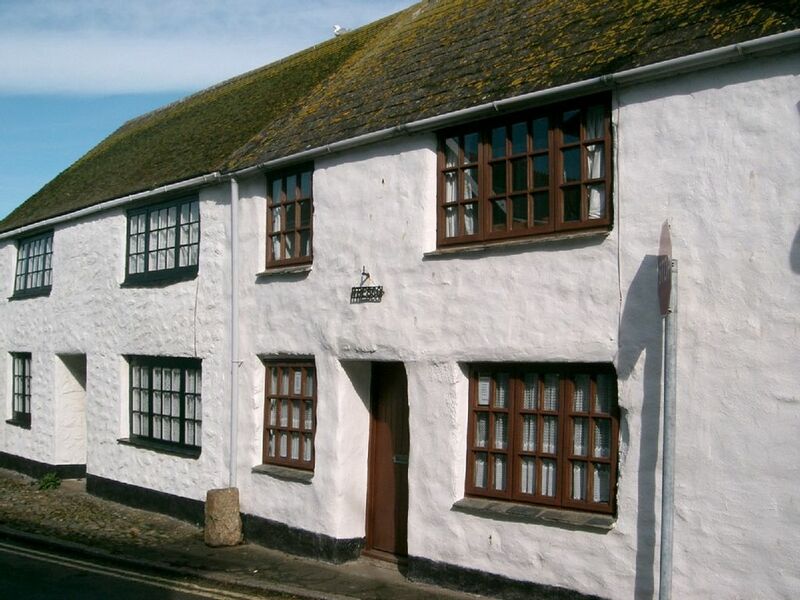 Great location, quiet neigberhood, really nice cottage worth booking if you want to visit Cornwalls attractions. We have very much enjoyed our stay in this cottage, simple but cosy feel inside, great location for any explorations out there, Including the local beaches and attractions! Tresco was the perfect location to explore Marazion and the surrounding area. St. Michaels Mount is amazing and the beach is quite good. The cottage does have low ceilings and the parking place is a bit tight to get into, but otherwise it was great. Also be aware that it runs on a pound electricity meter. For our family of 5 over 4 days we spent about 7 pounds to run it, so not too bad. Sweet cottage in a great location just off the high street, really well placed to take advantage of all Marazion’s great shops, galleries, restaurants and the beach. We had a lovely time in this comfortable, historic and characterful house and hope to go back soon. We had a fantastic holiday at Tresco. 3 adults with 3 children aged 8 years and under. Cottage had that old worldy atmosphere but was well equipped, very clean and a good kitchen for when we did cook. Having a washing machine was ideal and we had the weather to dry everything. Plenty to do in the area and going back next year for more. Having a car park space meant coming back in the middle of the day presented no parking problems. We really enjoyed our week stay at Tresco with our young family (kids 7,5 and 1 ). The cottage is ideally situated for the beach and the village and all facilities were perfect. Very pretty little cottage with plenty of room inside, there were 6 in total in our party and we had plenty of space. I would recommend this rental to anyone wanting a hassle free week in the sun ( which we were very fortunate to have in abundance ). Hope to visit again in the coming years. Out of season nightly rate £90 depending on time of year. A cleaning charge of £45 is added to any booking of less than 1 week; this charge is included in bookings of one week or over.